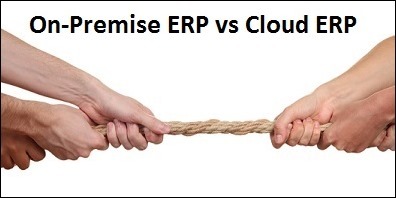 What Really Matters - Cloud ERP or Deployment Options? 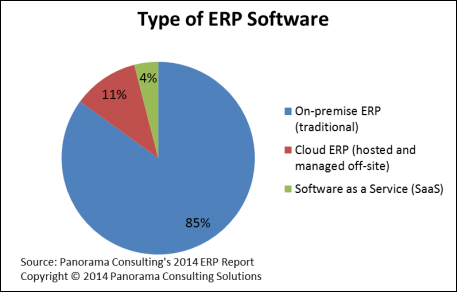 Panorama Consulting Solutions publishes the most authoritative annual report on the current world of ERP. In their 2014 report, they point out that 85% of companies are still implementing On-Premise ERP solutions. That is, 85% of brand new implementations are still On-Premise solutions. Of course, you can get snarky about that 85% and call the decision-makers at those companies backwards, old-fashioned, inside-the-box thinking, follow the crowd, do it the way we’ve always done it, cave-dwelling, obtuse, stuck-in-a-rut old-timers who should just leave the work force and retire. You could also call it a generational thing and say that Generation X just isn’t going to embrace the Cloud like Millennials will (click here). But the fact is that there are legitimate reasons why decision-makers don’t currently choose Cloud ERP. One of the big reasons is that they don’t want to get permanently locked into a monthly payment subscription model where the company data is held hostage by a Cloud ERP vendor unless the company stays current on their Cloud ERP payments. So, we currently have a tug-of-war between the traditional mid-market On-Premise vendors (eg. Microsoft and Sage) and the Cloud ERP vendors (eg. NetSuite and Intacct). Acumatica has entered the game and picked a side, deciding to market Acumatica primarily as a Cloud ERP product. What doesn’t get as much attention though is the fact that Acumatica allows customers to deploy On-Premise as well. Deployment options are a big differentiator for Acumatica because they allow Acumatica to be involved in both On-Premise AND Cloud conversations with customers. The problem with NetSuite is that it only offers a one-way ticket. 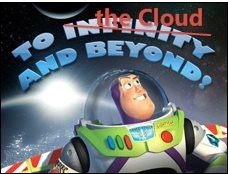 Once you go to the Cloud with NetSuite, you can’t come back. You are stuck in a monthly payment subscription model forever. In addition, NetSuite only offers a SaaS subscription so they can only talk to 4% of potential ERP customers (according the Panorama Consulting Solutions survey mentioned above). Acumatica, on the other hand, is a two-way street. It can take you to the Cloud (and back again). This is a very unique offering. Not only can you deploy Acumatica on a monthly subscription basis, but you also have the option to buy the software and deploy On-Premise or with a third-party hosting service. In my opinion, this directly addresses the concern that many companies have with the Cloud. This is appealing to companies who want to start On-Premise, but maybe move to the Cloud in the future (once all the old-timers have retired ), and it’s also appealing to the start-ups who want to deploy a low IT infrastructure Cloud solution now with the option to bring it On-Premise once their size and the law of economies of scale make it cost effective. From a technology standpoint, Acumatica is designed for this. I have become familiar with the Acumatica technology over the past 1.5 years and, although I haven’t personally done it, I can see how it would be extremely easy to simply backup your Cloud environment and restore it On-Premise, or vice versa. The On-Premise product and the Cloud product are the SAME PRODUCT, not two different products like you get with the legacy vendor’s version of Cloud ERP. So, Acumatica doesn’t have to pick a side, they can talk to 100% of potential customers! Do you want On-Premise? Acumatica is an option. Do you want Cloud? Acumatica is also an option. Do you want 3rd party hosted? Acumatica is STILL an option. The On-Premise deployment option doesn’t just address the Cloud concerns of potential customers, but also of potential implementation partners. The implementation partner consultants are the Marines of mid-market ERP, the boots on the ground force who actually makes ERP work for customers. Like the Marines, implementation partners could care less about glossy marketing rhetoric; they want what will actually work for their clients. Most implementation consulting firms out there are still dedicated to On-Premise products and are grappling with a major internal culture shock as they consider whether or not to pickup a Cloud product. With the Acumatica On-Premise deployment option, this doesn’t have to be a huge shift in thinking. Partners can copy and paste their current On-Premise thinking into Acumatica On-Premise deployments, then make the shift to Cloud deployments later. Think of it as a two stage adoption path, or one stage if they never even want to do Cloud. The vast majority of new ERP customers (85%) still prefer On-Premise ERP solutions. NetSuite can only appeal to 4% of ERP customers. Acumatica, on the other hand, is in a unique position in the market to appeal to 100% of ERP customers. Acumatica is also in a unique position to appeal to partners who want a modern ERP product in their portfolio, but aren’t ready to adopt the Cloud and the culture that comes with it. 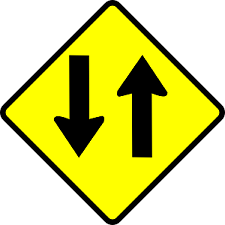 Bottom line, with Acumatica your deployment options are a two-way street. You can go to the Cloud and beyond, or easily come back to the comfort and stability of earth again.